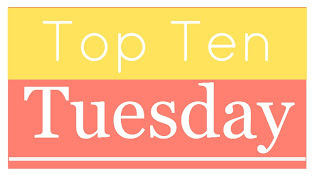 This is my first time participating in the very popular blog event, Top Ten Tuesday. Not sure I can keep up with weekly participation, but it is a fun event, so I'll give it a try. This week's topic is the "Top Ten Words/Topics That Will Make You NOT pick up a book." I get a kick out of the topic, because it does only take a word or a phrase to turn me off a book, no matter how popular. And I realize that my bookish turn-offs are just the things that a lot of people look for between the covers. The World War I thing is temporary. I'm just burnt out on muddy trenches, mustard gas, and snipers, even as the backdrop of the most touching love story or any other compelling plot. Right now, I feel the same way about Civil War novels. But I could only put ten on the list. How about you? What words turn you away from a book? Great list - mine would be similar except I do like "coming of age" and don't mind some horror from time to time. My list would be very similar. My personal list would include many of the same topics or words except that I love history. I am turned off by excessive profanity, meaning that it just isn't necessary to tell the story but exists only for shock value. And I can't stand the average romance novel. The only romance novelist I read isn't ordinary - Linda Gillard. Erotica was on my list too. I agree whole-heartledly with this list (Minus Horror because I love a good scare although I struggle to find good ones). But seriously, I am so tired of the erotica craze. I totally agree with the first three and the last two! They'd be on my list too! Mine is almost the same...but I'd swap out World War I and substitute "child/children in danger/killed" and probably find a place for current True Crime.